This collection offers empirical studies and theoretical essays about human communication in everyday life. The writings come from many of the world's leading researchers and cut across academic boundaries, engaging scholars and teachers from such disciplines as communication, sociology, anthropology, linguistics, and education. Chapters emphasize empirical, qualitative studies of people's everyday uses of talk-in-interaction, and they feature work in such areas as sociolinguistics, conversation analysis, discourse analysis, and ethnography. 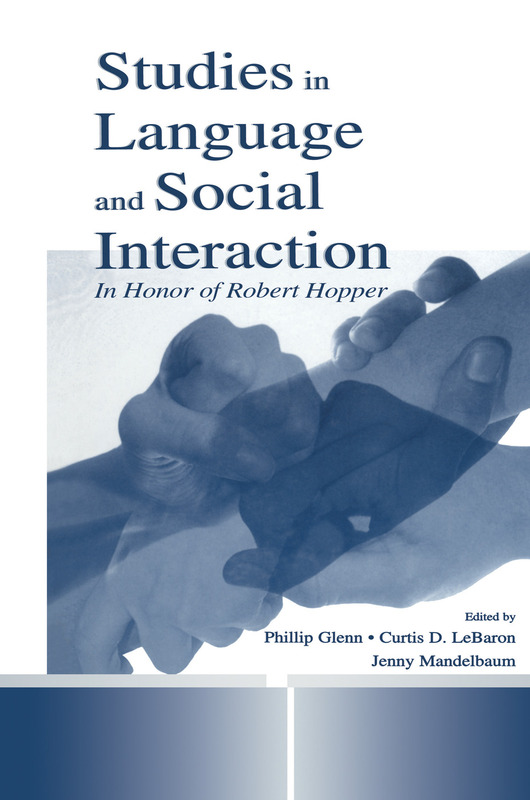 The volume is dedicated to and highlights themes in the work of the late Robert Hopper, an outstanding scholar in communication who pioneered research in Language and Social Interaction (LSI). The contributors examine various features of human interaction (such as laughter, vocal repetition, and hand gestures) occurring naturally within a variety of settings (at a dinner table, a doctor's office, an automotive repair shop, and so forth), whereby interlocutors accomplish aspects of their interpersonal or institutional lives (resolve a disagreement, report bad medical news, negotiate a raise, and more), all of which may relate to larger social issues (including police brutality, human spirituality, death, and optimism). The chapters in this anthology show that social life is largely a communicative accomplishment and that people constitute the social realities experienced every day through small and subtle ways of communicating, carefully orchestrated but commonly taken for granted. In showcasing the diversity of contemporary LSI research, this volume is appropriate for scholars and graduate students in language and social interaction, communication, sociology, research methods, qualitative research methods, discourse analysis, conversation analysis, linguistics, and related areas. Modeling as a Teaching Strategy in Clinical Training: When Does It Work?